In order to discuss and evaluate the risks and preventive measures for Valka, a group of local specialists were gathered in Valka Municipality Council to attend a meeting on 8th of September, 2017. Representatives from various fields were invited – health and welfare, construction, tourism, civil protection and work safety, county planning and development, as well as management. Goal of the meeting was to exchange information in various fields of expertise and how the latter can be affected by climate change, and what kind of adaptive measures are required and can be implemented. Two methods were employed: (1) discussion, where all identified risks were analysed and main risks were identified; (2) written survey that was filled in individually. Sewage system maintenance and upgrade to required level - in the case of heavy rainfall, it’s not sufficient to pump large volumes of water; an increase in capacity is required. Inspection of canal locks on river Pedele (Selija street) to assess its operational state. Herd grazing in hogweed spread territories, mowing, chemical control (herbicides) to manage the generalist species spreading and replacing the specialist species. The identified adaptation activities are partially in line with the national research, but in this case the focus is on those activities which can be carried out locally. For example, adjusting legislation or adapting the measurement, prediction or early warning system is also relevant, but taken into account the size of Latvia and Valka, these measures should be implemented at a national level. 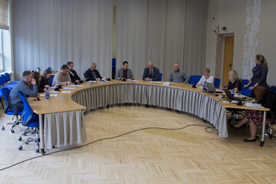 Till the end of year 2018, Valka Municipality Council plans to summarize all information about climate change risks, vulnerabilities and adaptation action. The result are the Local Climate Adaption Strategy and the Monitoring and Evaluation System of Local Climate and Adaptation Strategy. 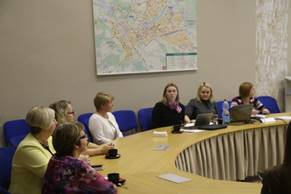 Valka Municipality Council already started to implement mentioned climate change adaption activities. On 8th December, 2017 the first Training about risks and adaptation to climate change in public health and well-being was carried out. During the training representatives from educational institutions were informed about the identified risks in the public health and well-being sector with special focus on tick-borne diseases and virus infection diseases, including discussion about prevention and mitigation measures. Valka Municipality Council plans to organize also other trainings and informative seminars about climate change risks and activities in other sectors and with different target groups.